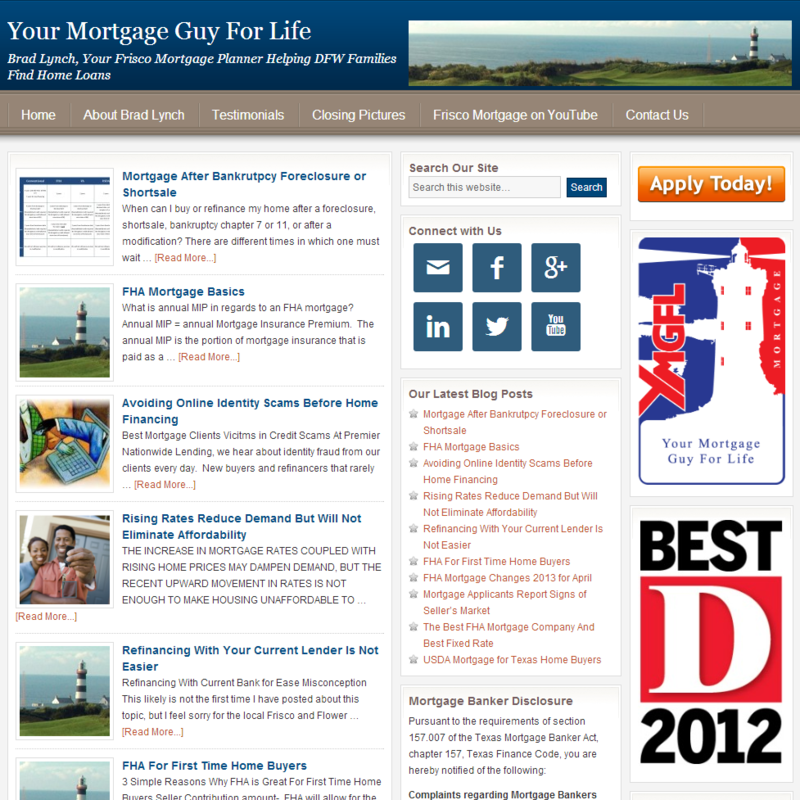 Brad Lynch, a Frisco and Flower Mound Mortgage Broker, reached out to me a few months ago and asked me about setting up a blog that he could brand with his own domain name, something that he could own and market for the foreseeable future. He previously had a blog set up on Blogger, but because it is a free blogging platform he was limited in what he could do with it. So I suggested he register a domain he liked and set up a new blog on that domain built on the WordPress platform. So that’s what we did. We migrated all of the content from his old blog, set up a new WordPress site and trained him on how to get the most out of is blogging efforts. 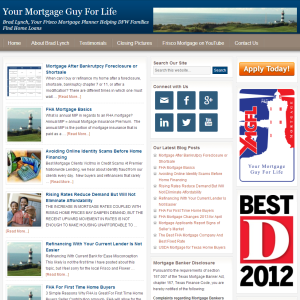 You can visit his site at http://www.yourmortgageguyforlife.com.